The Prince Edward Viaduct, or as it is more commonly known, the Bloor Street Viaduct was constructed in three sections. The architects and engineers of the day referred to them as the Don Section, including the bridge over the Don River valley, the Rosedale Section, including the bridge over the Rosedale Ravine between the north end of Parliament Street and the western terminus of the Don Section, and the Bloor Section, which was built on an embankment along the edge of the Rosedale Ravine between Sherbourne Street and Parliament Street. While the proposal to build a bridge was raised in Council again in 1906 and in 1907, it was not until 1909 that it began to receive serious consideration. It was in that year that East Toronto, located north of Danforth Avenue, and roughly as far east as Donlands Avenue, was annexed to the city. 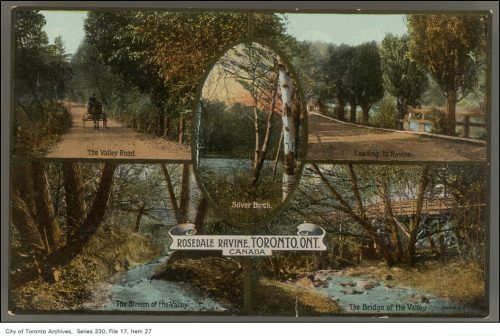 Earlier in 1884, the more southerly Riverside and Leslieville neighbourhoods had also been annexed, and these eastern suburbs were cut off from central Toronto by the Don and Rosedale valleys. 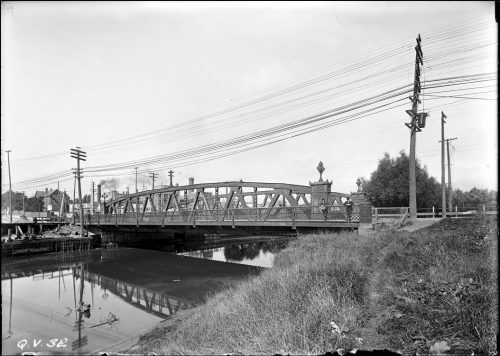 At the time there were only two bridges across the lower Don River, at Gerrard Street and at Queen Street, and they could not accommodate the increasing amounts of traffic as people moved east to take advantage of cheaper real estate. A new bridge to join Bloor Street and Danforth Avenue was seen by some as the ideal transportation solution, and proponents of the plan said it would promote development of the city. The people of Toronto had their first opportunity to vote on approving the funds to build the viaduct during the municipal election on January 1, 1910. However, fiscal caution won the day and the referendum met with a solid defeat. Despite this set back, Council knew it had to face traffic congestion problems head on. 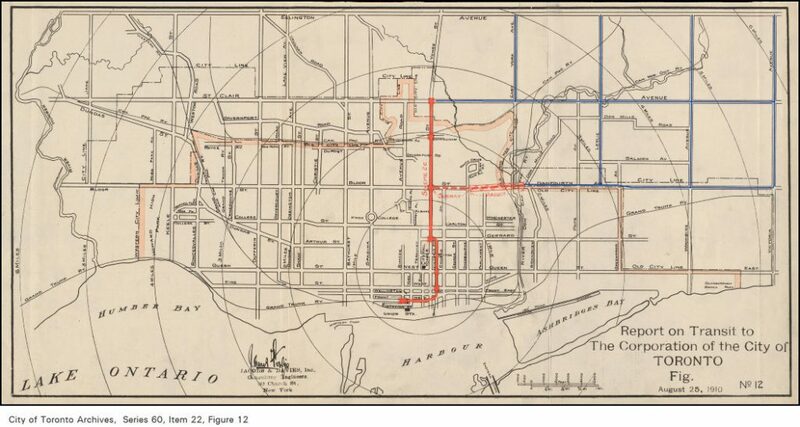 Early in 1910, the City hired an American firm of traffic consultants, Jacobs and Davies, to examine if a subway system might be the answer to Toronto’s increasing gridlock. Other cities, such as London, Boston and New York had had subways for years, and not surprisingly Jacobs and Davies thought subways would be good for Toronto as well. They championed Council’s suggestion of subway construction in their report dated August 25, 1910. 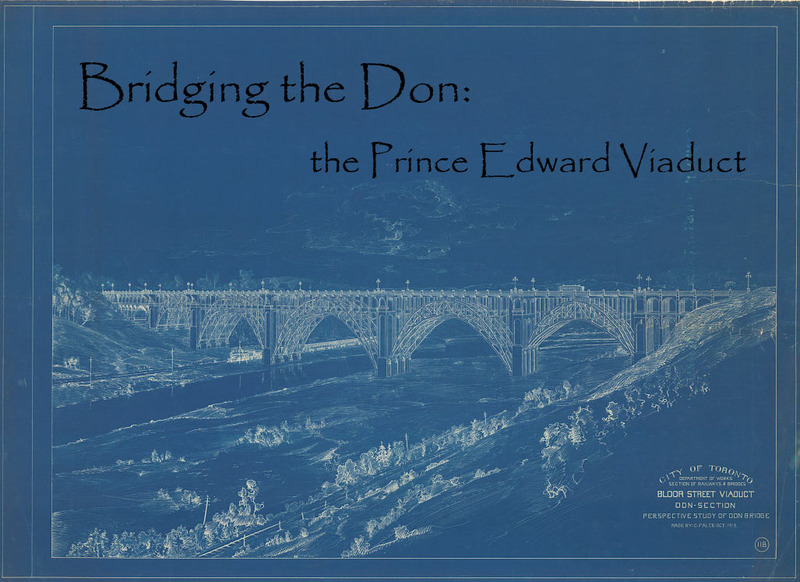 Their recommendations included a Yonge subway line, and a double-decked viaduct across the Don Valley, with lower decks in the Don and Rosedale sections for the eventual accommodation of subway trains. One local politician in particular believed fervently that subways were critical to Toronto’s success. Horatio Hocken (1857-1937) was an alderman and member of the Board of Control, who also had mayoral aspirations. On March 29, 1911 Controller Hocken instructed the City Engineer to prepare plans for a subway (or tube) to run under Yonge Street from Union Station to St. Clair. 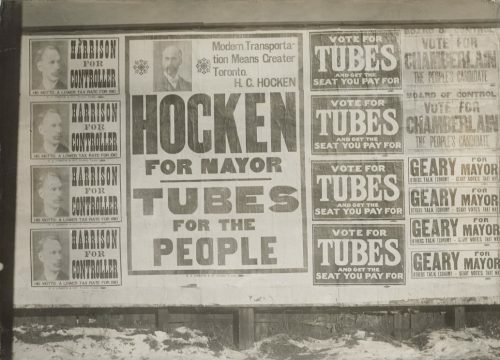 Hocken was in favour of public ownership of transportation systems, and may have seen a new underground railway as a way to break the monopoly of the private Toronto Street Railway company. 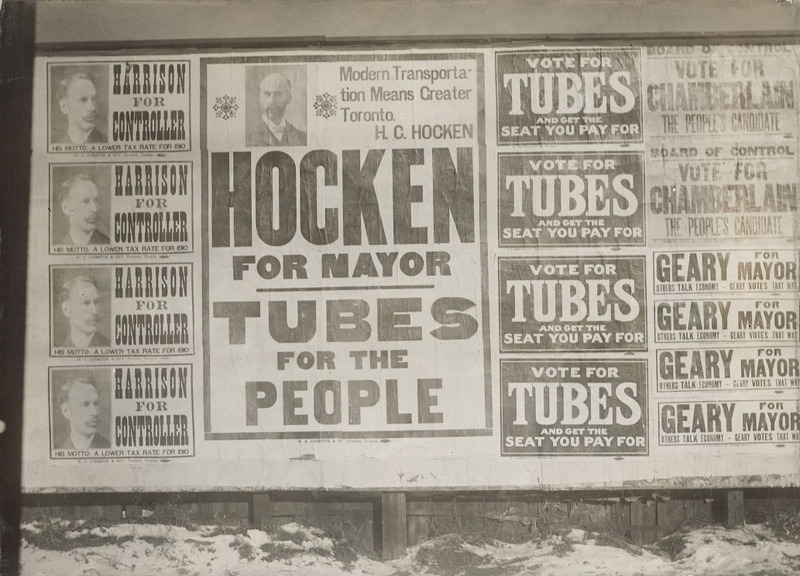 When Hocken decided to run for mayor he made subway construction a major focus of his campaign. Not only did he advocate for the north-south route along Yonge Street, he also pushed for two cross-town lines along Bloor-Danforth and Queen Street. However, with the exception of The World, Hocken’s vision was derided by the Toronto newspapers of the day. The press pointed out that the City had insufficient borrowing power to pay for the subway scheme, and when the municipal election was held on January 1, 1912, Hocken lost to incumbent mayor George Reginald Geary (1873-1954). In the meantime, plans for the Bloor viaduct were continuing to move forward, although not smoothly. There were significant objections to its construction from two influential groups. 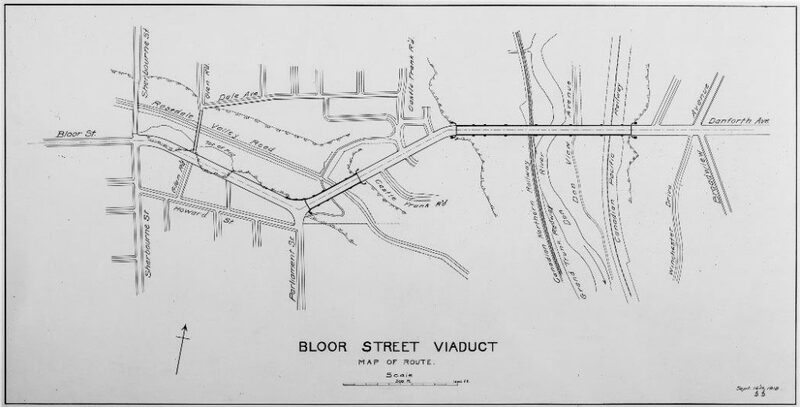 If the viaduct were to be built in a straight line on the east-west axis of Bloor and Danforth, as recommended by City Engineer C.H. Rust, it would have had been devastating to the natural beauty of the Rosedale Ravine. Not surprisingly Rosedale residents objected. For the same reason, the Guild of Civic Art, which had been established in 1897 in part to influence Council to include aesthetic considerations in city planning decisions, was also opposed to the straight route. 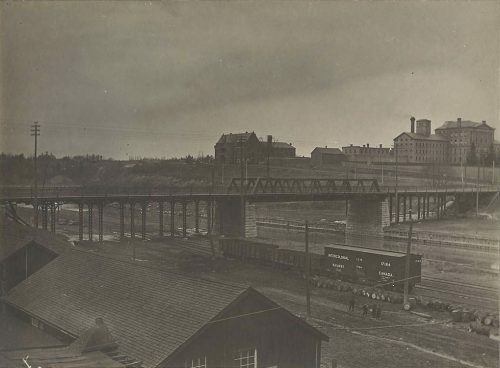 When the people of Toronto were asked to approve the viaduct in referenda on January 1, 1911 and on January 1, 1912, they voted it down both times, just as they had in 1910. These postcard views give some idea of the charms of south Rosedale around the turn of the century. 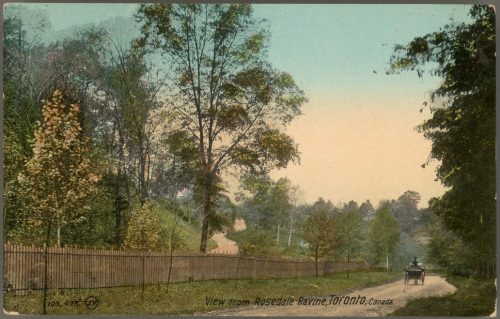 Little wonder that there was resistance to the straight route, which would have destroyed Rosedale’s bucolic nature, and introduced traffic and noise to the quiet neighbourhood. 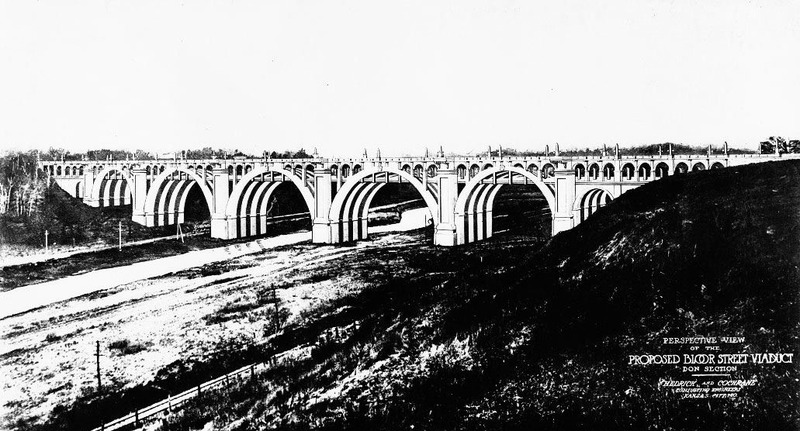 Though the Guild of Civic Art was partly responsible for the defeat of the viaduct proposal, it was a member of the Guild who finally devised a solution that would both preserve the ravine and allow the construction of the viaduct. 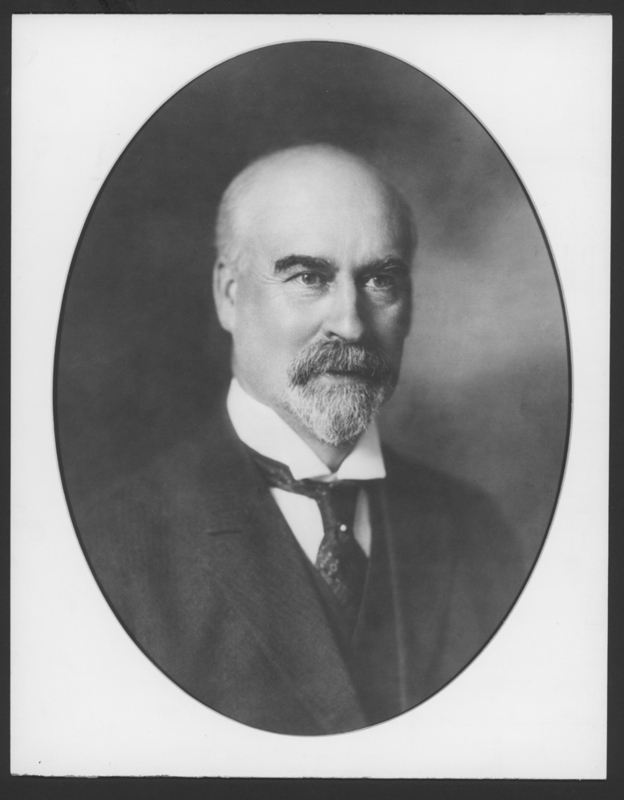 John Lyle (1872-1945), architect, and member of the Civic Improvement Committee suggested creating a landfill terrace to continue Bloor Street south-eastward from its then terminus at Sherbourne Street to connect with Parliament Street. Lyle figured that most of the earth for the landfill could come from the excavation for the viaduct in the Don and Rosedale sections. Lyle’s plan was presented to Council on January 18, 1912 and it was received with enthusiasm. The terrace plan was approved by Mayor Geary in June of 1912 and officially adopted in September. Lyle’s solution was one of the main reasons why the expenditure of $2.5 million for the viaduct was finally approved by voters in the election of January 1, 1913. Two other changes in 1912 helped to influence the eventual success of the 1913 referendum. City Engineer Charles Henry Rust (1852-1927) had been in favour of the straight route for the viaduct and was opposed to the lower subway deck that had been recommended by Jacobs and Davies. 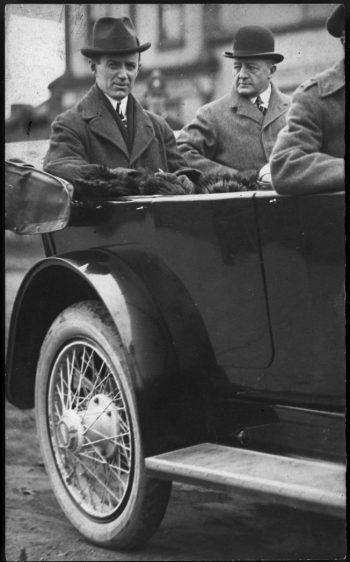 In April 1912, Rust, who had served the City for 35 years, resigned to pursue a less stressful career in Victoria, B.C. Two months later the office of Commissioner of Public Works was created by controllers Thomas Langton Church (1873-1950) and Hocken, and they supported Roland Caldwell Harris (1875-1945) for the combined posts of Works Commissioner and City Engineer. R.C. Harris had no ties to the straight route, and he supported the subway deck. 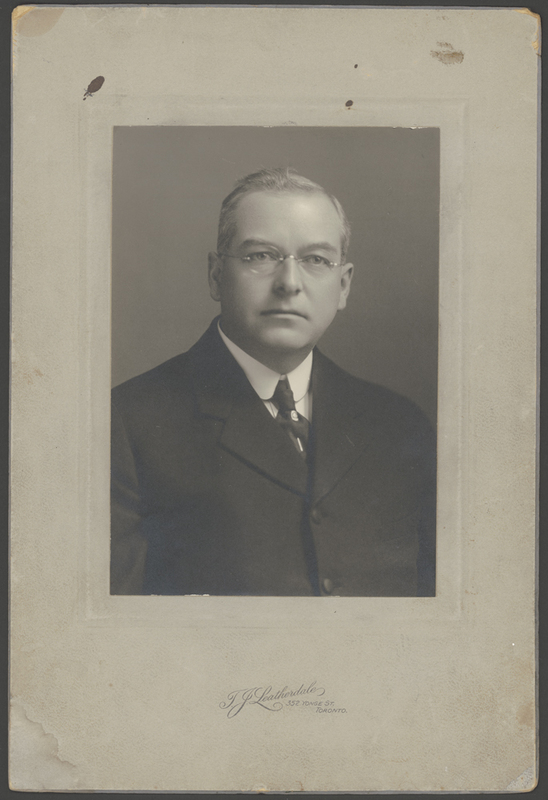 Then on October 21, 1912 Mayor Geary resigned to accept Council’s appointment as the Corporation Counsel for the City of Toronto. 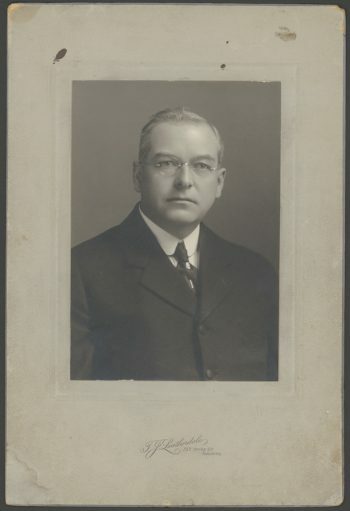 By Council’s acclamation Horatio Hocken took over the mayor’s duties, and then he won the mayoral race in his own right in the election that took place on January 1, 1913. With newly-installed Mayor Hocken in place and the approval of the populace finally won, it was time to decide on the design of the viaduct. Options included all steel, all concrete, or a hybrid of the two. Former City Engineer Rust had favoured an all-concrete design and the Guild of Civic Art was in agreement. On the other hand, R.C. Harris believed that the land base in the Don Valley would not support the weight of an all-concrete structure. Finding it difficult to make a firm commitment to either, the tender documents issued by the City in April 1913 left it open for contractors to bid either on an all-concrete structure, or one with a steel superstructure supported on concrete piers. These are two of the all-concrete submissions, with the design on the left by L.G. Mouchel and Partners Ltd., and the design on the right by Hedrick and Cochrane, Consulting Engineers. 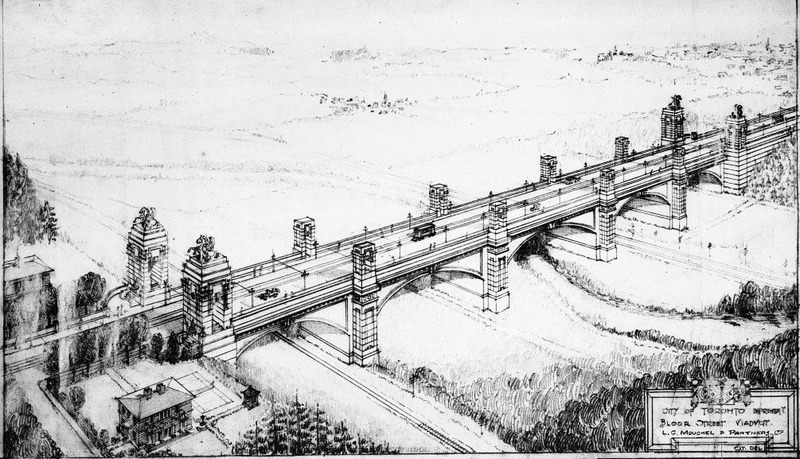 The bids were opened in October 1914, and an all-concrete design came in with the lowest cost. However, continuing concern with the viability of a concrete viaduct on the soft shale of the Don Valley led Council to ask the City Engineer’s department for a report with further advice. 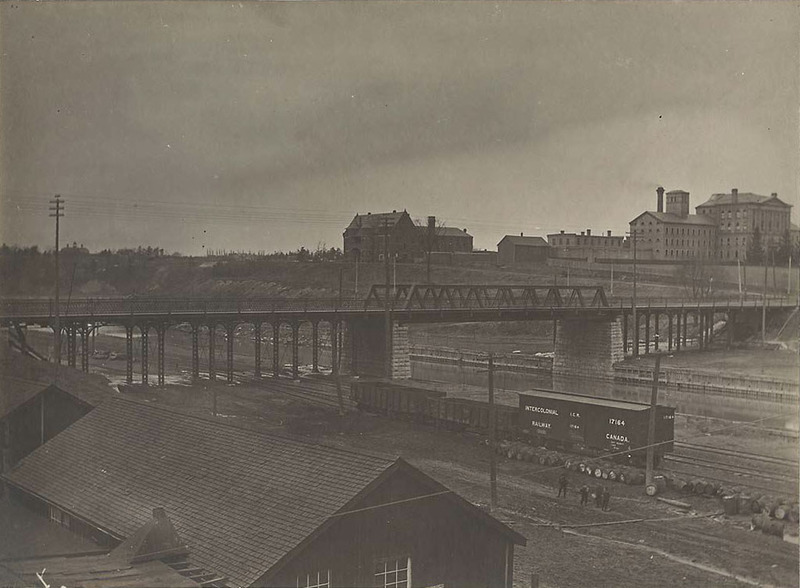 Council received the report in December 1914, and Harris and his staff continued to advocate for a steel viaduct. After a lengthy debate in Council, Mayor Hocken put the matter to a vote, and the final decision was to go with a steel and concrete hybrid. The award for the Don Section went to general contractor Quinlan and Robertson, with the steel work sub-contracted out to the Hamilton Bridge Steel Works.